Social media expert, Deborah Smith, recently joined us for an informative and educational presentation on LinkedIn tips to optimize your profile. With the dozens of ways to improve your profile, Deborah reveals the “hidden secrets” to fully complete that desired page to really market yourself and your business. Customize your interests and news content on your LinkedIn homepage. Add additional applications to your profile (i.e. events, polls, books you may be reading, presentations, etc.). Turn on/off activity broadcasts when you update or edit your profile. Connect with people that your connections are connected with (kind of like 2nd and 3rd cousins in relation to 2nd and 3rd tier connections). Upload your resume to your LinkedIn profile for potential employers and clients to view. 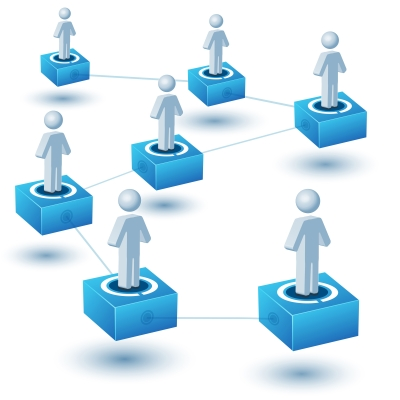 Opt in or out of an “Open Network” where anyone can connect with you. Ask for recommendations (and publish them on your profile) from colleagues, clients, and/or people you have worked with and you can also endorse them in return. Send out 3,000 invitations (per account) to connect with other users. Post statuses (similar to Facebook) where you can share with your network and link to your Twitter account as well. Get “Introduced” to someone you would like to get to know in order to possibly connect with them through a mutual connection. Group your connections based on customized Tags (i.e. Business Partners, Colleagues, Clients, etc.). Create your own Group to publish on LinkedIn. Utilize the “Advanced Search” option to narrow down specific professionals. Save 3 job searches that you may be interested in that you might want to refer back to at a later time. Register and customize your LinkedIn profile URL. Update your LinkedIn title summary with keywords (not too broad) in order to appear more frequently when people search for those certain keywords. Make your profile anonymous or public when you view other people’s LinkedIn profiles. Convert profile to .pdf format, print profile or download vCard into Outlook (1st connections only). Create a personal company page for others to follow and receive updates. LinkedIn provides numerous options to help you market yourself and your company. Remember, when you’re sending an invitation to a potential employer or client, you want to stand out and build a relationship. Try to only send out invitations to people who are already on LinkedIn and utlitize your network of connections. When you are looking to connect with someone, take the time to craft a personal message to each person and not just use the generated message that LinkedIn provides you. You can reference something special you liked in particular on their profile or something you have in common like a group or connection. Deborah Smith has had a very successful food blog for the past couple of years which focuses on great eats in New Jersey. Check out her blog JerseyBites.com for great tips and inspiration! For more social media tips and tricks, subscribe to DeborahLSmith.com. This entry was posted in Business Seminar Summaries and tagged Business Seminar Summaries, Deborah Smith, LinkedIn for Business by M2 The Agency. Bookmark the permalink.